Start in the Import tab in BMC. 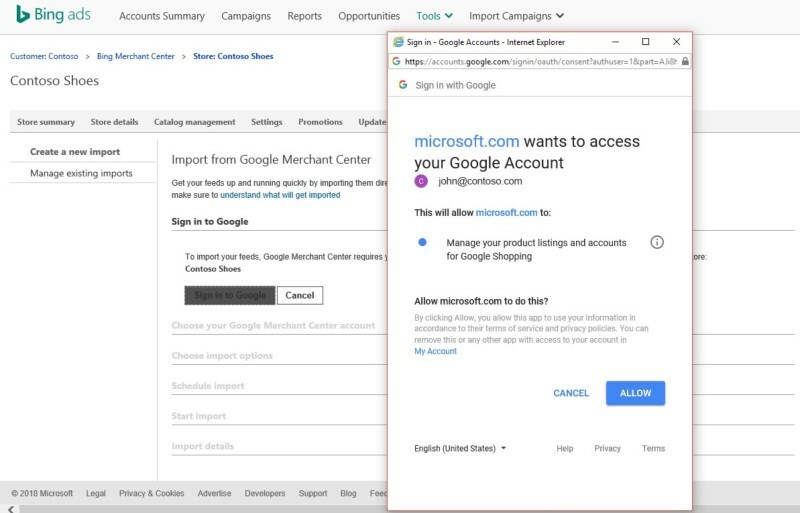 You’re required to sign in with your GMC account to start the import process, and the import tool supports both standard GMC accounts and multi-client accounts. The GMC Import’s scheduling capability includes daily, weekly, monthly and now options. Additionally, saved schedules can be changed by clicking Manage existing imports and editing the schedule. Lastly, for diagnostic purposes, the import status is reported on the Catalog summary page of the imported catalogs. This is also the place to see the imported feed processing results, giving you information on how many offers were approved versus rejected. 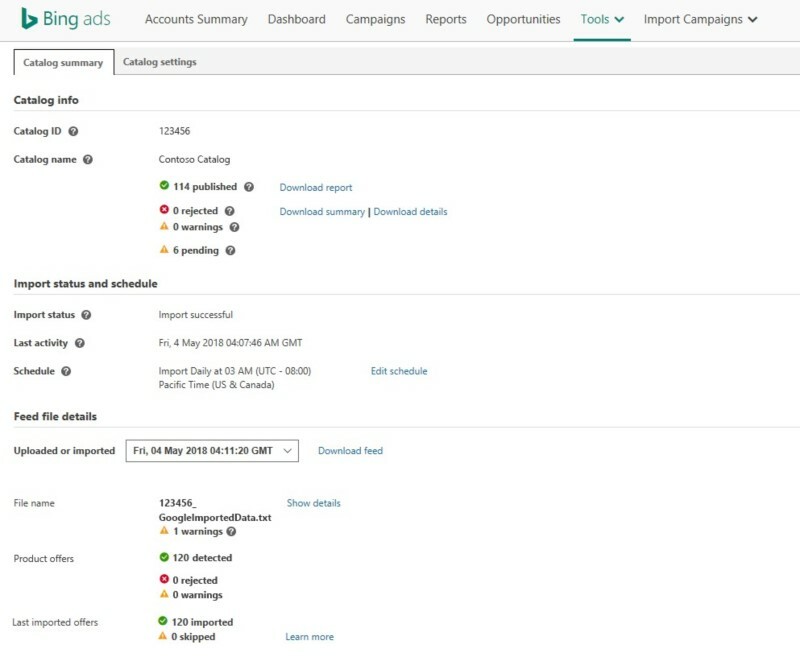 In summary, this tool is built to make it easier to create and maintain Bing Shopping Campaigns, so you can concentrate on optimizing your campaigns to connect to the people who matter to you through Bing Ads. 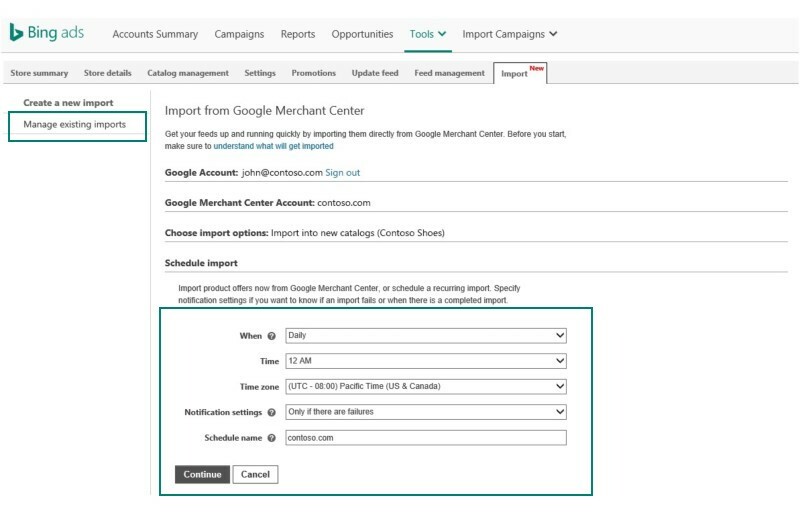 Learn how to Import your Google Merchant Center product offers to Bing Merchant Center. We're always looking for feedback on how we can improve Bing Shopping Campaigns to help you do more and work less. 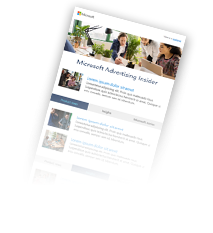 We invite you to ping us on Twitter, suggest a feature on the Bing Ads Feature Suggestion Forum, or send us an email with your thoughts to bingads-feedback@microsoft.com.